The author of this alarming phrase is one of the very few scholars who have written in English2 about the ‘re-Germanization” program run in part by the Volksdeutsche Mittelstelle (Ethnic German Liaison Office, an SS agency set up to take care of the needs of ethnic Germans in occupied lands). “VoMi,” still one of the least-understood agencies of the Third Reich, was one of four Nazi agencies accused of war crimes in Trial 8 at Nuremberg, the “RuSHA Trial” of 1947-48. The others were Lebensborn, RuSHA (the SS Race and Settlement Office) and the RKFDV, the Reichskommissar für die Festigung deutschen Volkstums, the Reich Commissioner for the Consolidation of Germandom. This post focuses on documents from that trial, documents I’m currently analyzing for the Nuremberg Project at Harvard Law School in Cambridge, Massachusetts. The project plans to put the entire English-language record of all thirteen trials online within the next few years; transcripts and evidence documents from the shorter trials are already available on the site. The “RuSHA Trial” transcript is short (5408 pages, in comparison to the “Ministries Trial,” which runs over 29,000 pages), and the evidence files used by the prosecution and defense take up only two archival boxes. But the relative brevity of the record is more than made up for by the complexity of the issues. Prosecution Evidence Document No. NO-4292. 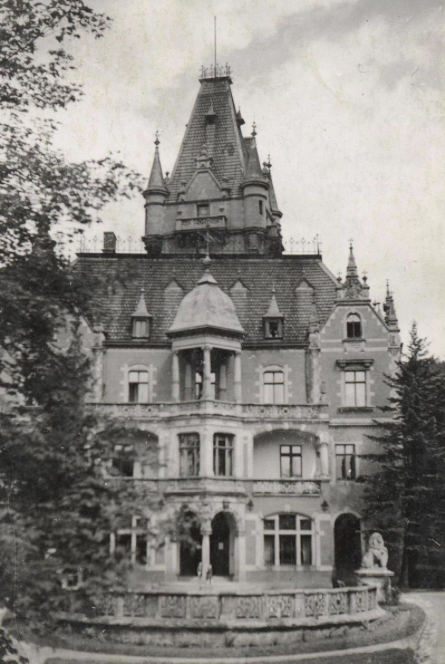 The story of this blog post begins with two camps mentioned in the trial: Marianum, found in prosecution evidence document NO-4292, and Leubus, a Cistercian monastery in Silesia, described in detail by a witness. 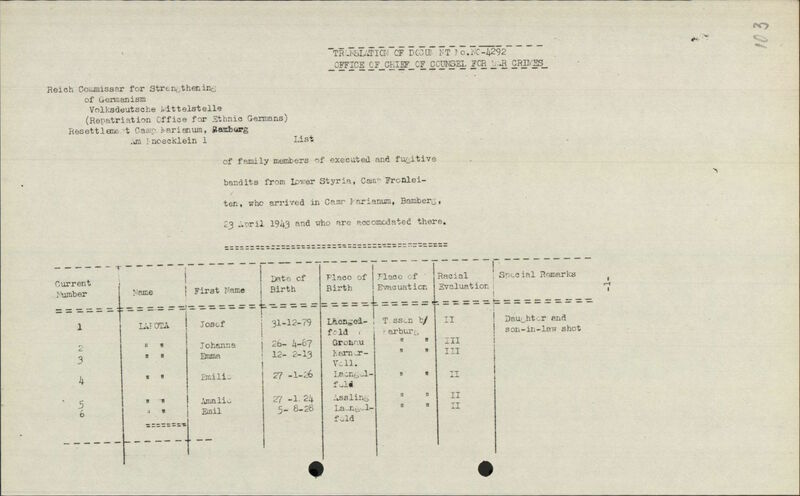 NO-4292 is a translation of a captured German document, a five-page list of relatives of executed Slovenian partisans; it names two VoMi camps they were held in, Frohnleiten and Marianum. This list was barely mentioned in the trial itself, and it isn’t self-explanatory. 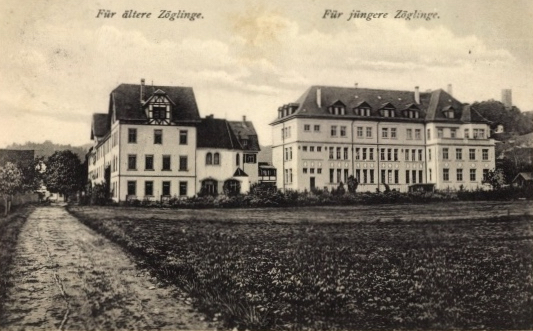 VoMi camp Marianum was at a cloister in the center of Bamberg, according to the address on the document. (Frohnleiten is a town near Graz; nothing is known about the camp.) The other camp, Leubus, far to the north in Silesia, was a destination for deportees from Luxembourg, as well as Slovenians. Both were monasteries. . . but what was the connection? It took some sleuthing to find out. The fourteen defendants in Trial 8 (thirteen men and one woman) were leaders in implementing a grand plan conceived by Heinrich Himmler: searching for “lost German blood” and bringing the bearers of it back to the Reich, willingly or not. Enormous numbers of people were moved to fulfill this dream. Over one million Volksdeutsche, ethnic Germans from newly occupied lands, moved as part of the “Home to the Reich” campaign. Many of these resettlers were voluntary, although those from Soviet territory had more impetus to leave than people from other lands. Still, thousands of others, who did not consider themselves to be “ethnic Germans,” were deported and interned against their will. Trial 8 didn’t focus on these clearances, though. It focused on (among other things) a stranger part of Himmler’s plan: deportation of “re-Germanizables” (Wiedereindeutschungsfähigen) from the occupied lands. The Wiedereindeutschung program’s goal was to find inhabitants of these places who appeared racially German. Once identified by teams of dedicated RuSHA inspectors, they were offered a chance to become German citizens. Starting in 1942, those who resisted, or who fought the Nazi regime, were deported to camps in the Reich for “re-education.” The ultimate aim was to assimilate all of these “racially valuable” people into the German populace. Himmler was particularly concerned that no ‘drop of German blood’ be left behind to be exploited by enemy states. He felt that whatever leaders were to be found in places like Poland, Russia, and Yugoslavia were most likely racially German, whether they knew it or not, descendants of German settlers from earlier centuries. If left undisturbed, Himmler worried, they might form nuclei of future anti-Nazi resistance groups. One grave consequence of this line of thought was the intentional extermination of such people when they did not agree to be “Germanized” — execution of intelligentsia and “leaders” occurred in all occupied lands, either before, or in parallel with, the events described below. The countries in which the RuSHA inspectors sought and found the most “German blood” were Poland, Alsace-Lorraine, Luxembourg, and Slovenia. Thousands of families from Poland and Alsace were interned in camps like the one at the Konradihaus in Schelklingen; the more enthusiasm they showed for the idea of becoming German, the likelier they were to be released to live with host families and work in the Reich. Those who held to their “politically unreliable” views were kept in the camps. Over 30,000 people from Alsace and Lorraine were deported for this re-Germanization; overall, the program is thought to have taken in approximately 100,000 people by 1945. Although this total seems small when compared to the million plus Volksdeutsche who were resettled, deportation and imprisonment, in some cases lasting for years, had a devastating impact on those affected by these measures. One thing we do know is this: apart from the still-mysterious Jeschütz (Jaszyce in present-day Poland) and Frohnleiten locations, most of these VoMi camps were set in religious facilities: monasteries, convents, or schools. Castles were also a favored choice; the camp at Rahjenburg (aka Reichenburg, currently Brestanica, in Slovenia) took over a former Trappist monastery in a castle. 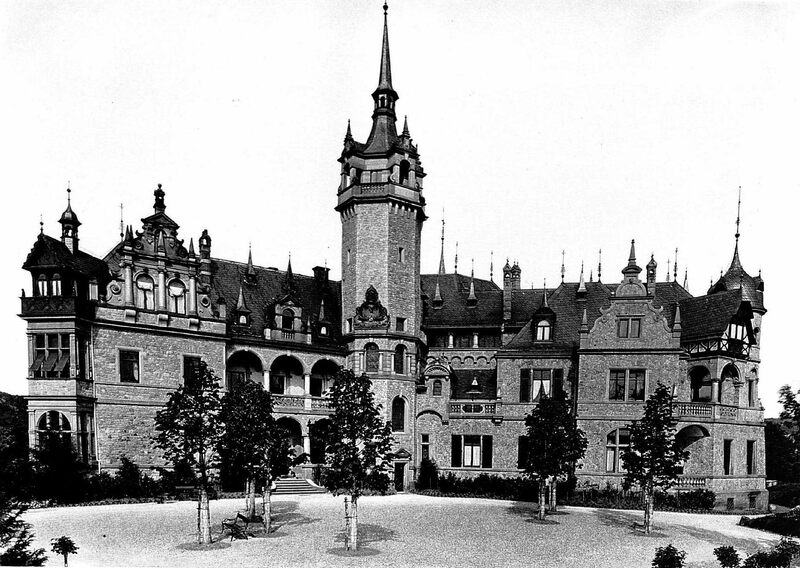 Schloss Langenzell, north of Stuttgart, was occupied largely by children — ethnic Germans from the Banat area of Rumania, slated for adoption by German families. The situation in Slovenia was even more complex than in Luxembourg. After invading Yugoslavia in April 1941, the Germans executed an ethnic cleansing campaign, removing Slovenians from a “border strip” between the Sava and Sotla rivers, and resettling the area with Volksdeutsche from the Kočevje (Gottschee) region and elsewhere. This “border strip” area, Lower Styria and Upper Carniola (Oberkrain), had long been part of the Habsburg Empire. The examiners moved in immediately to pick out the “racially valuable,” who, along with those deemed “politically unreliable,” were sent to Germany for Wiedereindeutschung or simply for internment (those in unwanted racial groups were sent south, to Serbia and Croatia). By mid-1942, the Nazis had deported 37,000 Slovenians to 340 separate VoMi resettlement camps, stretching from Graz in the south, all the way north to Breslau and beyond. Many passed through the Sammellager at Reichenburg in eastern Slovenia on their way to the Reich. A resistance movement quickly arose in Slovenia, and thousands of partisans were executed. Document NO-4292 lists some of the relatives of these men. 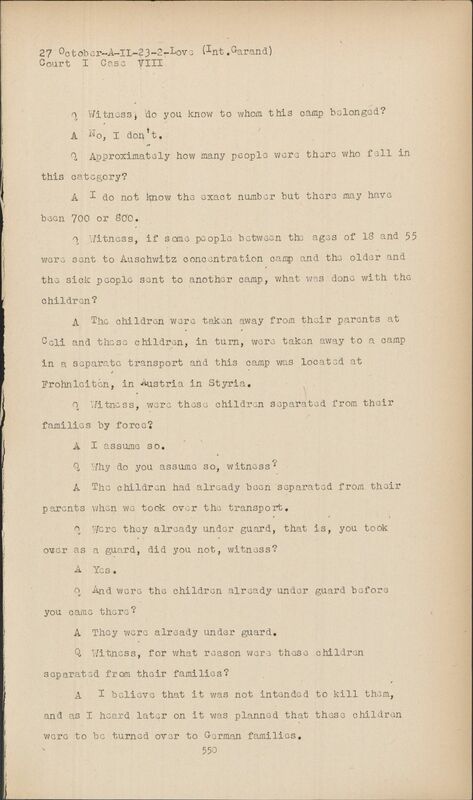 Page 550 of the trial transcript document NO-5201 reveal that many “racially valuable” children of partisans, referred to as Banditenkinder, were kidnapped outright and sent to camps such as Frohnleiten. Most then were sent on to Lebensborn homes in Germany for later adoption into German families, and never saw their family or homeland again. This was just a small piece of a much larger picture: by war’s end, fifty thousand “Germanizable” children had been stolen from occupied lands (including Norway, Belgium, Holland, Poland and Russia) and sent either to Lebensborn homes or directly to waiting families in Germany. RuSHA and VoMi personnel used their power to kidnap children of Gestapo prisoners, to remove children from orphanages and even to take them from existing families. In many cases, children unfortunate enough to possess an “Aryan” appearance were simply grabbed off the street. At times when groups of children were taken away en masse (such as with the destruction of the village of Lidice), racial selection occurred after the fact: a few favored children were sent on for adoption, and the rest, those in “undesirable” racial groups, were simply killed. The evidence documents from Trial 8 include several lists of individuals. 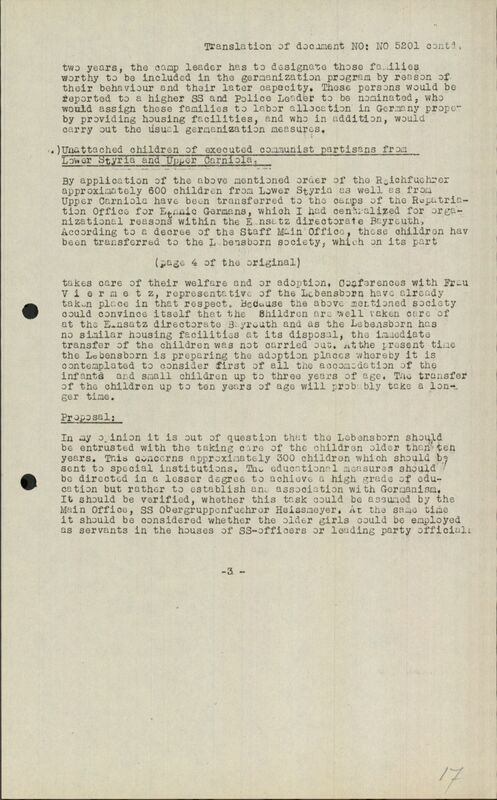 In addition to the one already mentioned, there are long lists of people deported from Luxembourg to the camp at Trebnitz, lists of children from occupied lands whose names were changed, lists of children placed in foster homes or kidnapped, and lists of 150+ Ostkinder whose health insurance status was under review. The natural question that arises upon encountering these lists is this: How many of these people were accounted for or reunited with their families after the war? Has anyone ever compared these lists with other surviving files related to individuals? Another unresolved issue is why, and how, the different nationalities affected by the programs were treated differently. For example, I found no evidence that “racially desirable” inhabitants of Belgium or the Netherlands were sent to these camps. Why was there such a contrast between Luxembourg and these neighboring lands? creating a complete list of camps and affected population groups (as has been done for Slovenian deportees already4). creating a centralized list of memoirs written by survivors and their descendants; publication of such a list might encourage remaining child deportees, now in their eighties, to publish additional useful works. Mark Mazower, Hitler’s Empire (Ch. 7: Make This Land German For Me Again: a good overview of the Germanization of Slovenia). Valdis Lumans, Himmler’s Auxiliaries: The Volksdeutsche Mittelstelle and the German National Minorities of Europe (Chapel Hill: University of North Carolina Press, 1993); twenty-five years after publication, still the primary work in English on this topic. Fahlbusch, Michael and Haar, Ingo. German Scholars and Ethnic Cleansing, 1919-1945, Berghahn Books, 2005 (see chapter 6). Hitler’s Forgotten Children, Ingrid von Oelhafen and Tim Tate, Penguin 2015; a fascinating memoir by one of the “bandit children” stolen from Slovenia and adopted by a German family during the war. Martin Grasmannsdorf, Die Umsiedlungslager der Volksdeutschen Mittelstelle im Gau Württemburg-Hohenzollern, 1940-1945: Eine Bestandsaufnahme (Berlin: Frank & Timme, 2013). A group of Slovenian scholars has posted the entire story of Slovenian expulsions, with historical photos (http://www.zdruzenje-zrtev.si/kako_obvescamo_ausstellungs_panos-2013-02-15.asp) – each of the fifteen pages of this amazing resource is a separate PDF; all are in German. Many, many thanks to the two people who helped enormously in crafting the content of this essay: Bradley Nichols of the History Department at Virginia Polytechnic Institute, and Paul Dostert, Director of the Centre de documentation et de recherche sur la Résistance, in Luxembourg. Both have made significant contributions to our knowledge of this corner of history. Congratulations on this very fine piece. The story of the Lebensborn children – both those born into the programme and those kidnapped from the countries Germany occupied – needs to be much more widely known and understood. I was privileged to film some of the survivors of Lebensborn when making my documentary (“Children of The Master Race”). I was particularly honoured to work with Ingrid von Oelhafen on our 2015 book. Her courage, like that of all those I met, is inspirational. There’s also a film in Slovenian, “Banditenkinder”, said to have German subtitles. If anyone knows where this film can be seen, please share this information. It was directed by Maja Weiss in 2014. Congratulations on this very interesting article. I’m a historian from Argentina and I’m currently writing a book about the topic of the Lebensborn children, in particular those kidnapped from the occupied countries during World War II. Ingrid von Oelhafen and Tim Tate’s book was very helpful for my research, as well as the documentary Children of the Master Race. I would like to thank the people who try to shed light over this frequently ignored topic, like the author of this piece and Mr. Tate. I would love to get in contact with you for further discussion. Thanks for your comment. You (or anyone who would like to discuss any of this) can reach me at jharan at law dot harvard dot edu. I do not think you can ever truely know the horrors these children experienced. The loss of their parents and older siblings so they could become part of Himlers diabolical plot of Germanization thus mentally destroying them. My mother and her two sisters were Banditen-kinder from Vojnik, Slovenia. The interview archive “Forced Labor 1939-1945” (www.zwangsarbeit-archiv.de) contains two Slovenian testimonies mentioning the VoMi-Lager Karmelitenkloster Bamberg: Angela D. (za377) and Marija Š. (za390). You can access them and watch/listen/read in Slovenian or German after registration at https://zwangsarbeit-archiv.de/archiv/interviews/za377 or https://zwangsarbeit-archiv.de/archiv/interviews/za390. There are also private photographs from the camp. It might be interesting to connect these testimonies with the judicial documents. In the archive, you find also testimonies of forcibly Germanized Polish girls. In case future researchers may be reading these comments, I also want to note the presence of many written (and perhaps also oral/recorded) testimonies of VoMi camp survivors in Luxembourg at the Center for Documentation and Research of the Resistance. This museum/archive does not seem to have a website, but it does have an EHRI link: https://portal.ehri-project.eu/institutions/lu-002884. I do not think you will ever truely know the horrors these children experienced. Firstly, the murder of their parents and older siblings so they could become part of Himlers diabolical plot of Germanization. Secondly, the brainwashing, starvation and ethnic eradication. My mother and her two sisters were so called, “Banditen-kinder” from Vojnik, Slovenia.